Warm and welcoming, the unabashed smiles and joyful demeanor of the Haitian people belie the challenges they face daily. This is a place of contradictions: The geography is breathtaking, but many people must walk miles for clean water. There is no organized system of sanitation in the small villages, but children are meticulously groomed and wear pristine-looking uniforms to school. 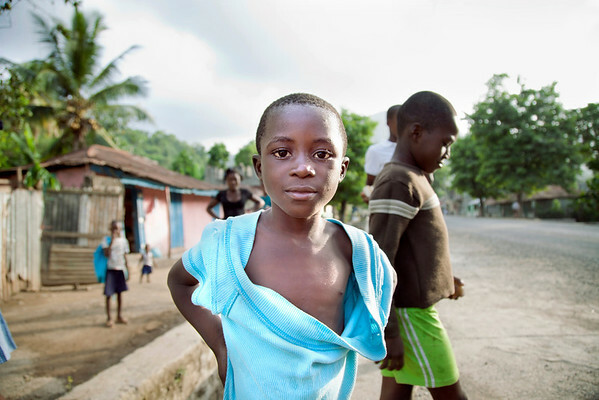 Children on the street in Milot, Haiti.